The Taxman (HMRC) have taken Carling Lager’s US based owners Molson Coors to a tribunal over it not paying its proper taxes. Apparently its about £50 million quid short, because its beer is actually 3.7% ABV not the advertised 4% which the can says. This has been happening since 2012, so not a recent thing. Lager of that strength is allowed a natural variance of -/+ 0.5%, which in the case of Carling Larger should be 0.02% ABV. Carling claim their variance is actually 0.23% across the board. However if you work out the difference between 4.0% and 3.7% it is actually closer to whopping 8% which is a massive amount. Its like paying for a 12 pack of beer and being given 11 and told “close enough” move along now. 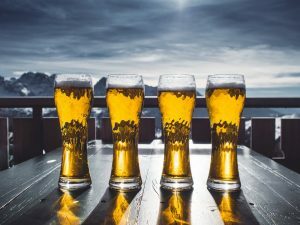 The reason for lowering he ABV percentage is the higher the alcohol content a drink has, the more tax it pays, and Molson Coors decided in its own world that lying to its customers about the strength is perfectly acceptable. Even worse the TaxMan (HMRC) doesn’t even suggest this is illegal and makes clear there is no broken laws here. Exsqueeze me, the rules say 0.5%, not EIGHT PERCENT, where the hell are advertising standards when you need them. Furthermore the tribunal found in favour of Molson Coors and decided it was perfectly acceptable and didn’t owe £50,000,000 in taxes. Its understood the primary “driver” behind lying to their customers is because they didn’t want to share the tax reduction with supermarket or pub chains, or more importantly pass the saving on to the mugs drinking their weakened lager. By mugs I mean you and me, I know what I won’t be drinking again now. You can read more at the BBC or all other news outlets.